The Finals matchup between the Barangay Ginebra San Miguel and the San Miguel Beermen felt like a clash between a solid brick wall and a high-octane jackhammer. Ginebra’s been lauded as one of the top defensive teams in the league, while the Beermen are credited for their high-powered offense. It was a clash between two opposites. With both teams trading blowouts, no one had a clear idea where this series was headed towards. The start of Game 6 felt uneasy for all sides, both teams scoring just less than 40 points to end the first half. The game was a tough, physical affair. Even though the Beermen led 38-35, it never felt like they were in the driver’s seat. There was no clear direction to where this game was going, except that this was likely going to be a slugfest from start to finish. It turns out, the writing was already on the wall with that very fact. This was going to be a slugfest. Just the way the brick wall would like it to be, versus the high powered gun that was supposedly shooting just enough. That was the problem for San Miguel: shooting “just enough” wasn’t going to cut it versus a Ginebra team that thrived under such circumstances. 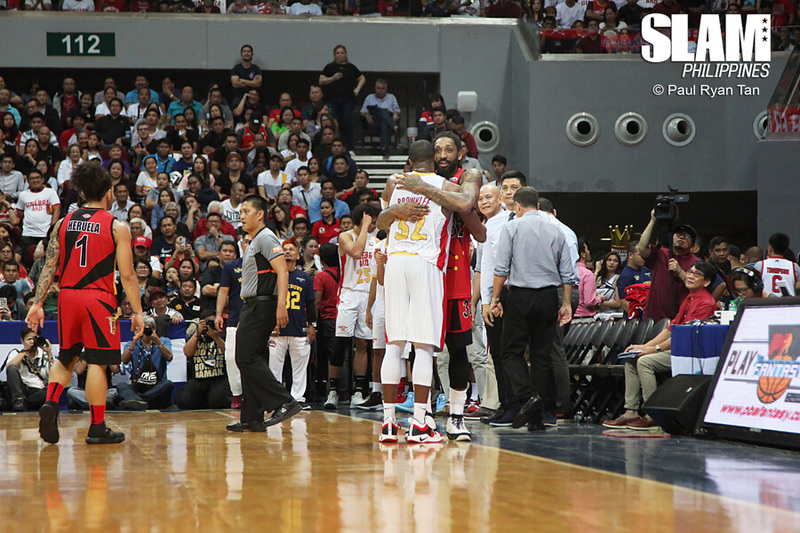 Ginebra already had control of the game the moment it transformed into a grinding game. It showed as early as Game 5, when the Beermen couldn’t penetrate past the defense of Ginebra during the last three minutes of the game. All Ginebra had to do was shut the Beermen down, then find points naturally as a result of their stop from the other end of the floor. 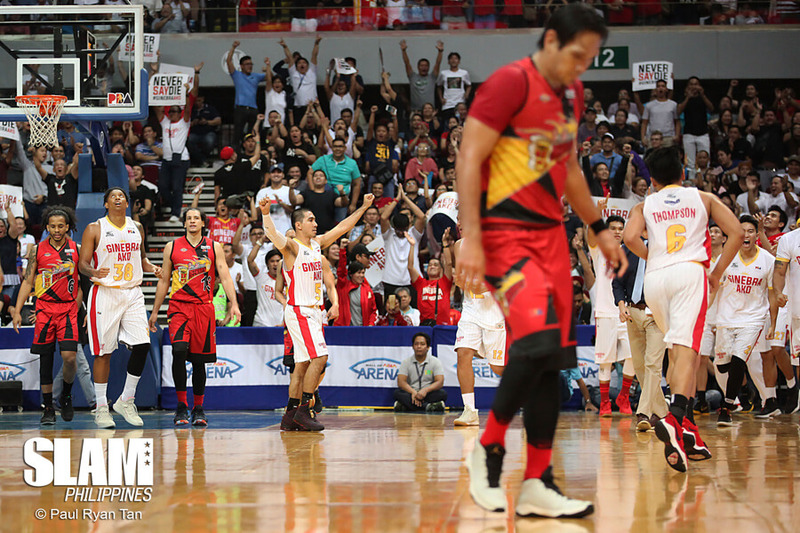 That was essentially what it came down to as Ginebra shut the door on the Beermen’s attempt to defend their Commissioner’s Cup crown. During the third quarter, Ginebra limited San Miguel to just eight points, with six of those coming from June Mar Fajardo. They were willing to let the Kraken get his buckets, as long as the other Beermen couldn’t get theirs. Do note that Junemar did not get these points with ease. He had to work for them, with Greg Slaughter shadowing him on every spin, and Justin Brownlee ready to help during the few times Fajardo’s power proved to be too much for Slaughter. With Slaughter capable of going one on one versus Fajardo, they didn’t need to sacrifice giving up space versus shooters as much. The result was a defensive masterpiece, limiting a high powered gun to single digits in a quarter they’ve normally wiped teams off the floor with. With their defense shutting down San Miguel the way it did, the offense of Ginebra came naturally on the other end of the floor. Brownlee was an absolute monster, scoring most of his 31 points during the second half. Even Chris Ross couldn’t shut down Brownlee. He was too big, too skilled, and simply too good at finding his spots around the midrange. The Beermen were left wondering how else they could shut down the Best Import of the Conference. It wasn’t just Brownlee this time around. Slaughter scored every now and then around the basket, while LA Tenorio hit some timely threes during their run in the third quarter. 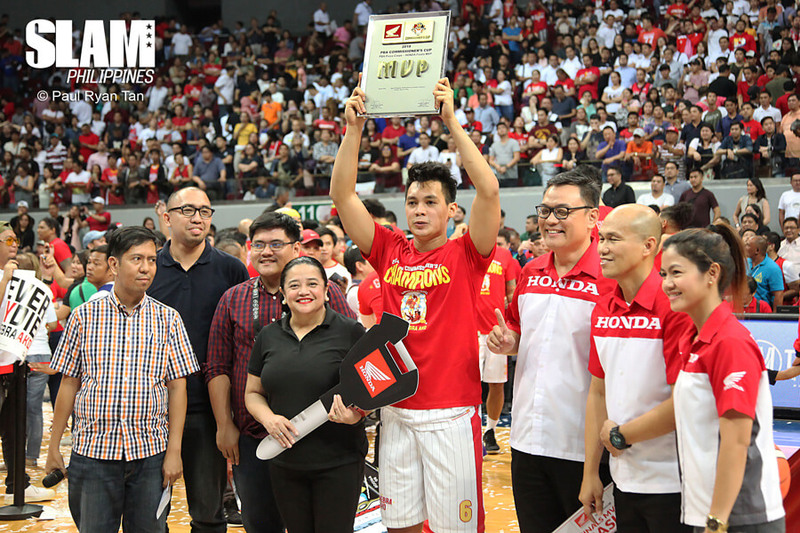 But it was Finals MVP Scottie Thompson who was sneakily impressive throughout the avalanche they had. His 12 points felt like a bonus. It was his 13 rebounds and five assists that truly made the difference, doing the little things that made the difference between celebrating a championship, and going home worrying about Game 7. It was an entertaining battle between the brick wall and the jackhammer. This time, it was the brick wall that stood tall and proved a point. Defense wins championships. That was the identity of Ginebra all conference long. Today they stand as kings, 2018 PBA Commissioner’s Cup champions.